Fisherman, tourism promoter, community activist. 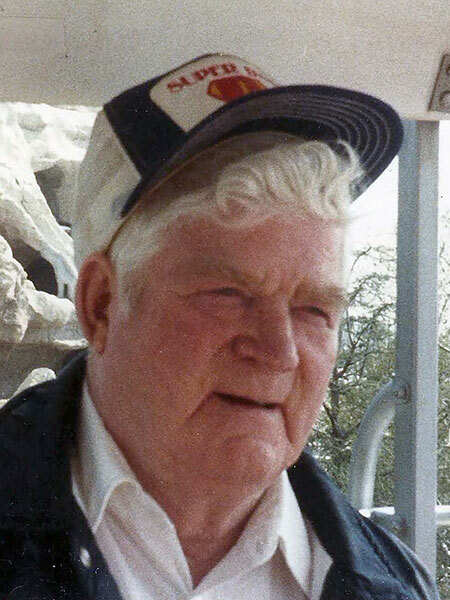 Born on Hecla Island on 25 September 1916, son of Anna and Thorbergur Jonsson, the family moved to a homestead on Hecla Island where he spent his childhood. At the age of 13 years, he joined his father, who was a commercial fisherman, on Lake Winnipeg and he continued to fish for the next 60 years. On 21 March 1942, he married Frances Annie Hirst (1916-2005) and they subsequently had five children. In 1954, he and his wife started a business at Gull Harbour that offered rooms, cabins, and concessions, and they were active in the development of Hecla Island as a tourist destination. He served for 17 years on the board for Hecla Island School, was instrumental in bringing electrical service to the island, and worked to develop roads, ferry service, and eventually a causeway. He was a councillor for the Rural Municipality of Bifrost and a member of the advisory board to the Freshwater Fish Marketing Corporation. In 1970, he moved to Riverton after his home was expropriated for the development of a provincial park. The following year, he received captain’s papers and, in 1972, he designed and built the fishing boat “Lady Frances.” He moved to Gimli in 1975 then to Winnipeg in 1998. In recognition of his community service, he received the 125th Anniversary of Canadian Confederation Medal in 1993. He was made a Life Member of the Manitoba Progressive Conservative Party. He died at Winnipeg on 2 January 2000 and was buried in the Hecla South Cemetery. Obituary, Winnipeg Free Press, 6 January 2000, page 34. Obituary [Frances Annie Jones], Winnipeg Free Press, 7 November 2005, page 17. We thank Marjorie Henry for providing additional information used here.